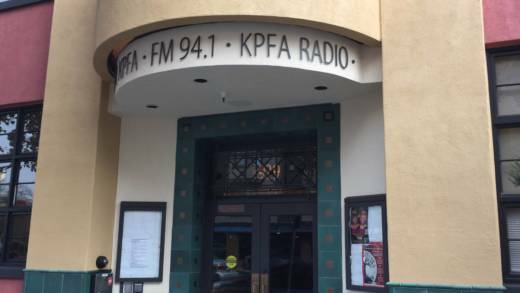 A $2m Loan Could Help KPFA Stay Alive — But For How Long? The Berkeley-based radio network The Pacifica Foundation -- parent to KPFA, Berkeley’s beloved bastion of left-wing public affairs and eclectic cultural programming, as well as four other stations around the country -- expects to sign off on a $2 million dollar loan this week to pay off part of a larger debt. 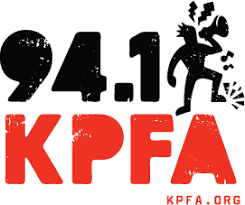 Bill Crosier, KPFA's interim executive director, says the loan, offered by friends of the network, will help Pacifica to cover the $1.8 million it owes in back rent for its New York station, WBAI. The station is housed in the Empire State Building, where the rent on its space currently stands at $65,000 a month. "The annual increase every year goes up about nine percent," Crosier says. "They just haven't been able to keep up with that." New York City-based realtor Empire State Realty Trust, which owns the Empire State Building, won a lawsuit against Pacifica last October. The company could seize Pacifica’s assets, including those of KPFA, if the network doesn't meet its obligations. The network’s total debt stands at around $8 million dollars. So longer term, Crosier says Pacifica's board is considering options like borrowing even more money and selling assets. Another option is to file for Chapter 11 bankruptcy. Crosier says it's also important for Pacifica to look for ways to increase revenue, like cultivating a larger listener base, pursuing more big donors, and increasing its promotion efforts. "We need to do more promotion to help people know that we exist and we have programming that they can't find elsewhere," Crosier says. But Crosier says the network hasn't yet come to an agreement about its longer-term strategy for sustainability. "One of the troubling things is eventually, obviously, we have to pay the debt off, and we don't have a repayment plan defined yet," Crosier says. Founded in 1949, KPFA was the first listener-supported radio broadcaster in the United States. Its signal reaches about a third of California's residents. Pacifica also operates listener-supported radio stations in New York, Washington, D.C., Los Angeles and Houston. Its regular weekly programs include the current affairs show Behind the News hosted by Doug Henwood, the African issues-focused Africa Today hosted by Walter Turner, and the music show Americas Back 40 hosted by Mary Tilson. Washington, D.C.-based media executive and former NPR chief executive Ken Stern worries for the future of the pioneering public media organization. "It's pretty clear that they are deeply challenged organization," Stern says. "It’s too bad, because they have an important service, an important voice in the public debate. Hope they find a way to keep it going."